As recently blogged, we were hoping to get this cool little barn passed through planning and at last, we did on Wednesday last week. This one has been a tough one as the plot sits within the rear garden of a Grade II listed house and adjacent to a Grade I Listed 15th century church so you can well imagine. 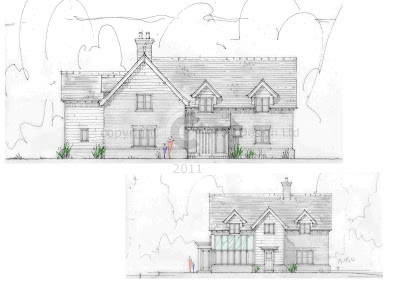 Currently in pre-application concept phase with this project for a young couple in a really nice Hertfordshire village…. 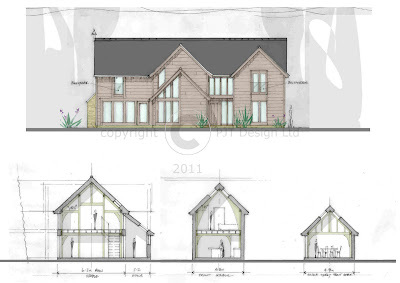 planning application likely to be submitted this month so will keep you updated with progress. It is a replacement dwelling in open countryside and an AONB (Area of Oustanding Natural Beauty) so will be a tough one but all looking good so far.. I will let you know how the planning process goes over the coming weeks. 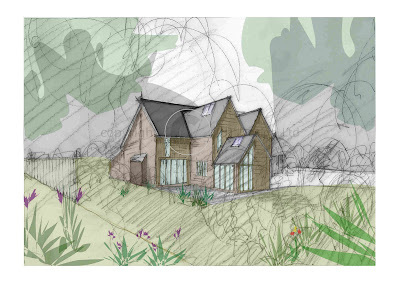 This design is hopefully only a few days away from getting planning approval..
Its a site i got planning on last year for some great clients down in East Sussex. The job is actually already under construction and will include a full oak frame from Oakwrights.. I will get photos up as soon as possible. I have been working with these clients for 3 years now on what has been a difficult planning process but we have at last got it. The house is going to be constructed with an oak frame from Oakwrights and will be fully clad in soft silver toned oak weatherboarding. 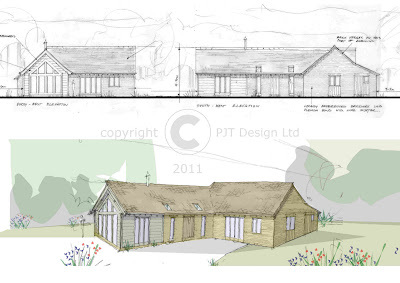 This is a scheme i have been working on since middle of last year but we have now received full planning permission. The house will sit on a site of 20 acres with its own lake, adjacent river and also private island! Very pleased we got this one for these lovely clients.